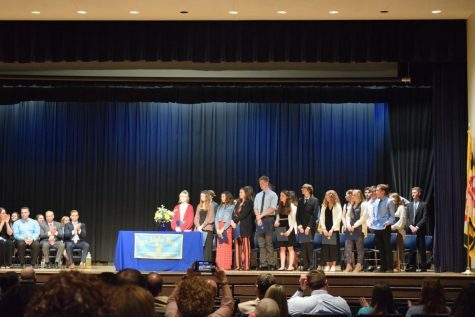 Stephen Decatur High School‘s theatre department hosted a play, and it was an immense success! Many students and adults witnessed the play enjoyed it thoroughly and laughed hysterically throughout the plays’ comedic parts. The actors in the play are none other than Decatur’s finest. Together, they worked with their famed teacher, Brandon Cater, to produce this play. The cast put in five grueling weeks of practice to prepare. They practiced after school, nearly every day and into the late evening. Along with group practice after school, the cast also studied their lines at home to ensure that they were well prepared for the show. Sophomore Layla Chrysanthis, who plays Marvelyn in the play, talked about what she thought of the play. “I think it went pretty well, and the other actors/actresses did excellent” stated Chrysanthis after the play. She also shared that the amount of time the cast spent reviewing their lines helped create a successful show. 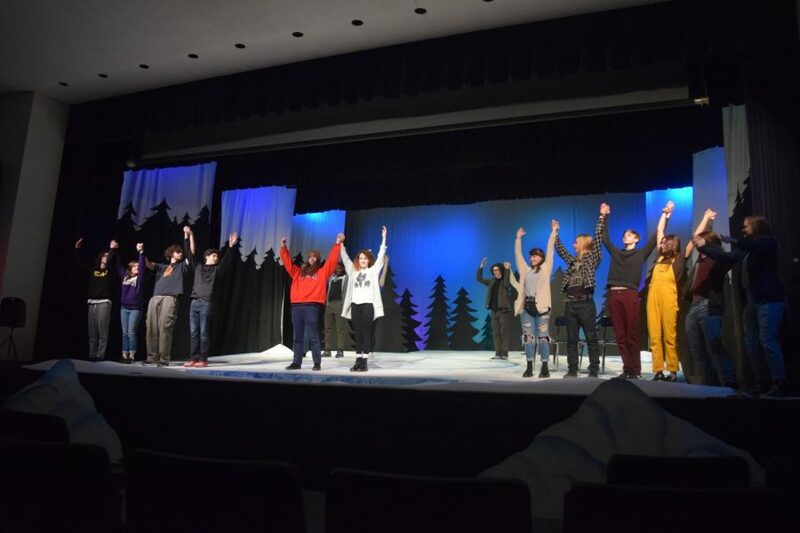 Senior Sivan Cohen, who played Sandrine in the play, stated, “The five weeks it took to prepare were grueling and long, but it helped that I get along well with the people I rehearse with.” Additionally, she shared that the cast “surpassed the expectations” leaving the crowd in awe. The play is a rendition of John Carianis’ play, “Almost Maine”, that comprised nine short plays. They explore love and loss in a remote, near-mythical town. The romantic comedy was premiered originally in 2004, taking place in the frigid northern state, Maine. In both acts, the scenes were a series of romances with splashes of comedy when needed. None were connected through characters, but all shared either a lover or losing a past love. Overall, the performance was well-executed and was enjoyed by all.